If there is not enough room for a mechanical clamping system, hydraulic system SH is used. It also allows clam- ping long, thin-walled workpieces or a number of similar workpieces. System SH is a closed system filled with hydraulic oil. A force is applied on it with a piston. 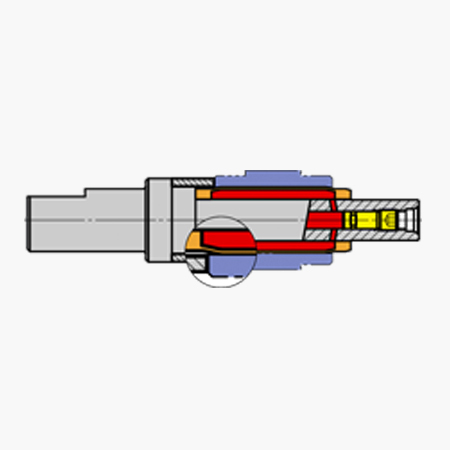 The hydraulic pressure radially expands the thin-walled clamping zone. The work- piece/the workpieces is/are being clamped.